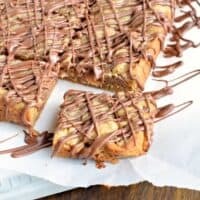 Delicious, chewy Candy Bar Blondies! This easy dessert recipe is made in one bowl, no mixer required! Do you ever wake up with a hunger that no bowl of oatmeal or cold slice of pizza is going to fix? You know, when all you crave is cookies, chocolate, and candy bars? Oh no? Yeah, me neither. 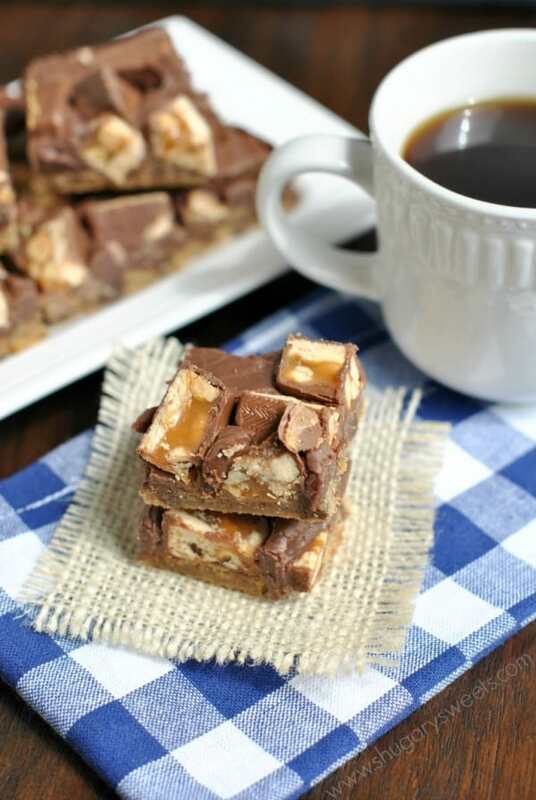 BUT, if you were to crave those things, then today’s Candy Bar Blondies recipe is the answer to that craving. 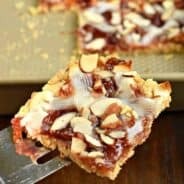 These blondies have everything you need. 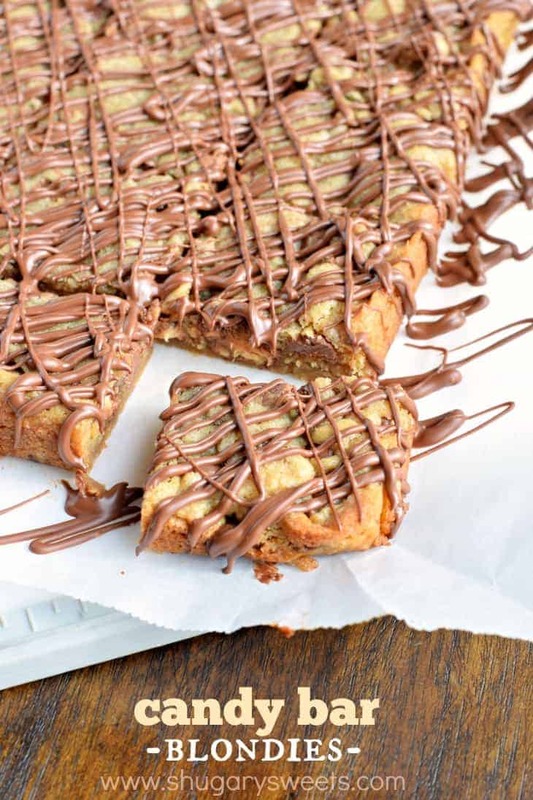 Chewy base (think brownie meets cookie), packed with candy bars, and chocolate chips. And topped off with a little extra melted chocolate, just because I love you. 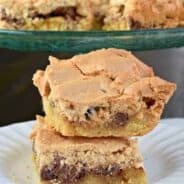 If you’ve never made blondies before, this is such a great recipe to start with. I’ve been making them for years and years, and I always use this as my base. (you may remember these Macadamia Nut Blondies from last year….or these Apple Blondies from a few years back). It’s a no fail recipe you guys! But, even better than that, it’s ONE BOWL. No mixer needed for this one. Grab a mixing bowl and combine everything together. It’s that easy! I added Snicker’s candy bars to mine, just because I found a package of minis in my pantry. 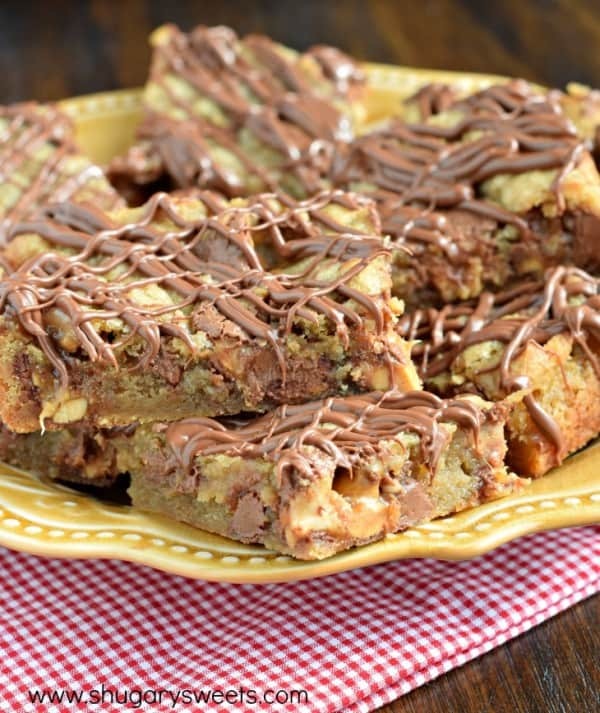 But any candy bar is fair game in these blondies! Milky Way? Twix? Kit Kat? What will YOU add? Preheat oven to 350°F. Line and 8-inch baking dish with parchment paper. Set aside. In a mixing bowl, combine brown sugar with melted butter. Add in egg and vanilla. Add salt and flour and mix until just combined. Fold in candy and 1/2 cup chocolate chips. Melt remaining 1/4 cup chocolate chips and drizzle over cooled bars. Serve and enjoy! 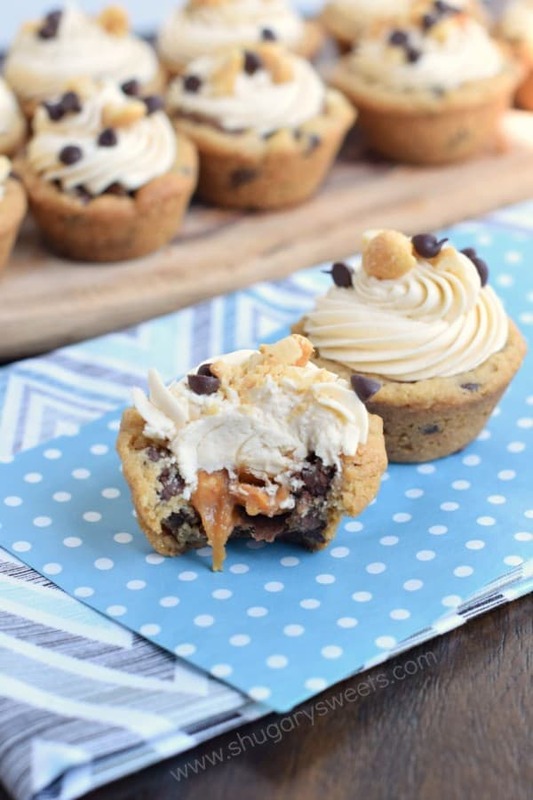 Snickers Cookie Cups: chocolate chip cookie stuffed with a snickers candy bar and frosting! 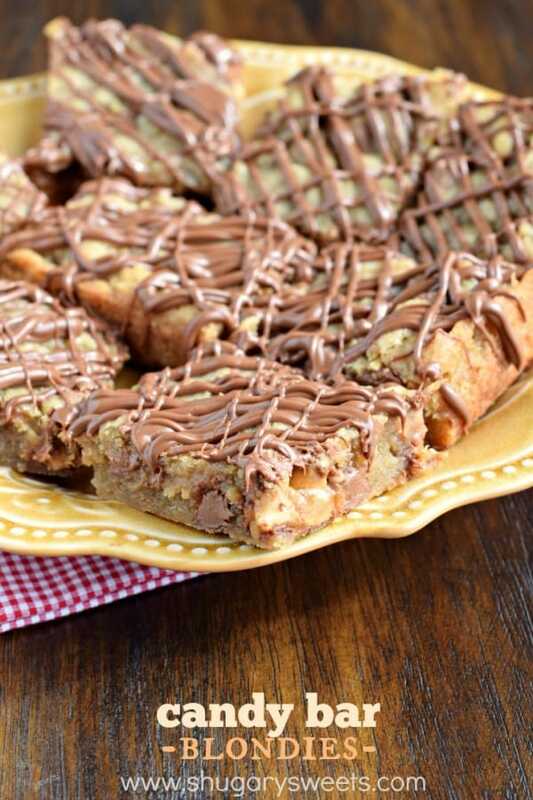 Snickers Cookie Bars: only a couple of ingredients for these magical treats! 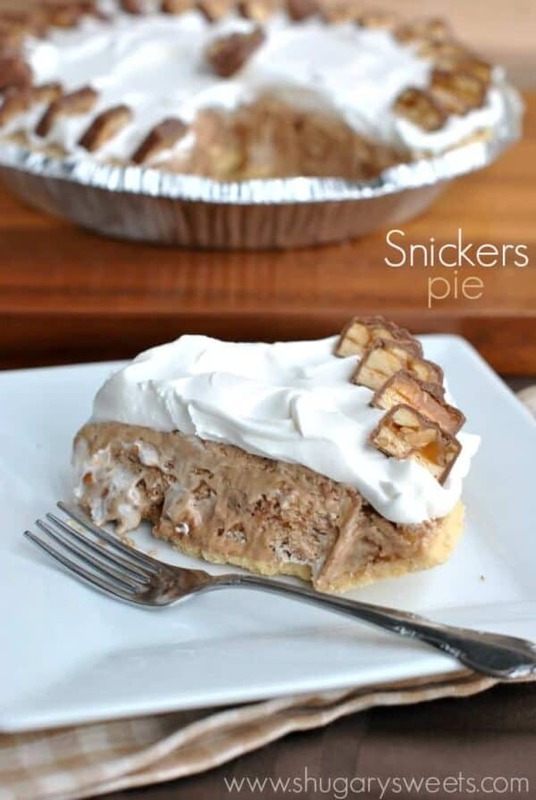 Snickers Pie: melt your candy bars for this delicious make ahead, frozen pie recipe! I wake up EVERY MORNING craving chocolate. That’s why my day has to start sweet, or I’ll just inhale ALL the cookie bars around lunchtime. And you used Snickers in these (hello, crack! ), so that makes them doubly amazing! I haven’t been able to forget these since I saw them on twitter this morning. I need them in my life NOW! I love no fuss (but outraaaageously decadent) desserts like this!! I definitely crave candy bars and chocolate and I’m not ashamed to admit it! 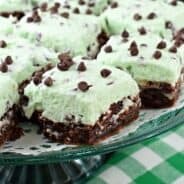 I will be trying this recipe, it looks so good. Do you think I could substitute the all purpose flour with coconut flour? I’ve never used coconut flour, but if you can typically swap it out, then I don’t see why not. If you try it let me know! One bowl desserts for the win! One bowl blondies are the best! Love all the chocolate packed into these!